NOTE: Hubbard Stew is no longer active. Most of the band’s original members currently play in Sonikora. 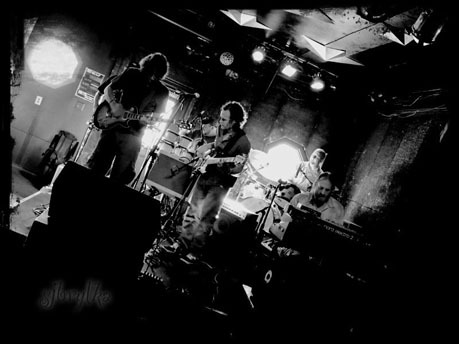 Hubbard Stew is a group of seasoned Columbus, Ohio musicians who formed a band based on creativity and improvisation with the goal of bringing excitement and spontaneity to their live performances. Each of their performances is unique, room is left in each track for the Stew to explore new areas, feeding off each other and the energy of the room, sets flow from moments of beautiful ambiance to sonic walls of dissonance and on into straight ahead extended dance grooves that get the whole room jumping. Classics from The Meters, Miles Davis, and John Scofield, as well as recent material from Lotus, Galactic, and Thievery Corporation are reworked and performed as new interpretations, woven into sets with original compositions.